There are five different designs, and some of each face to the left and others to the right. However they were not in equal numbers, so it will quickly become impossible to order a full set of five. 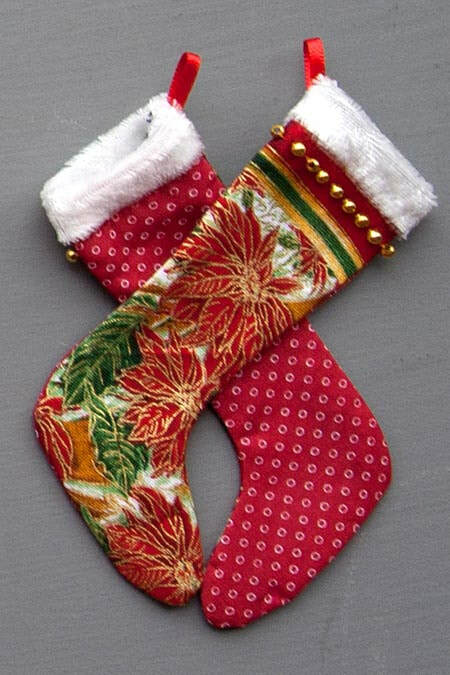 There were also far more stockings facing to the left. 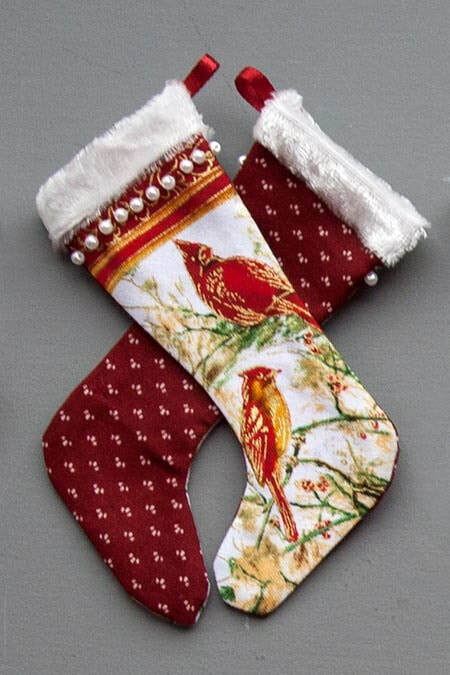 Five Printed Stockings with printed toe facing to the left. 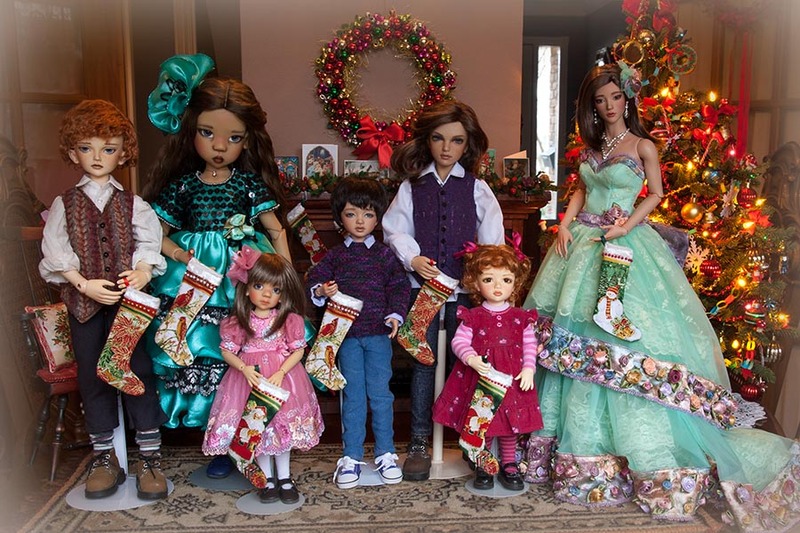 Shown with another stocking, to show what their backing fabrics looks like..
What size dolls do the stockings work with?